Let’s kick off the week with Poached Eggs Over Avocado & Smoked Salmon from Gaby Dalkin’s book Absolutely Avocados. And to top things off, I’m giving away a copy (scroll down to enter). If you’ve ever visited Gaby’s sites, What’s Gaby Cooking, you know that she is completely avocado-obsessed. And I mean that in the best way possible. For her readers, that means that we can benefit from not only the recipes on her site, but the 75 avocado-inspired recipes in her book. I know what you’re thinking…it’s probably nothing but guacamole. Au contraire, my jaded friends. By my count there are eight guacamole recipes in Absolutely Avocados…and the goat cheese version is a “must make asap” kind of recipe. Believe me. It’s that good. Gaby knows how to make the most of this creamy fruit and succeeds in showing off its versatility with recipes such as Tlayuda: Mexican Pizza, Crab Cakes with Basil-Avocado Aioli and Avocado Brownies. And then there’s this heavenly breakfast dish. I’m a complete sucker for anything that involves poached eggs. Or smoked salmon and avocados, for that matter. If this was placed in front of me on Mother’s Day, I would be one happy lady! I layered the dish carefully, giving proper reverence to each ingredient. 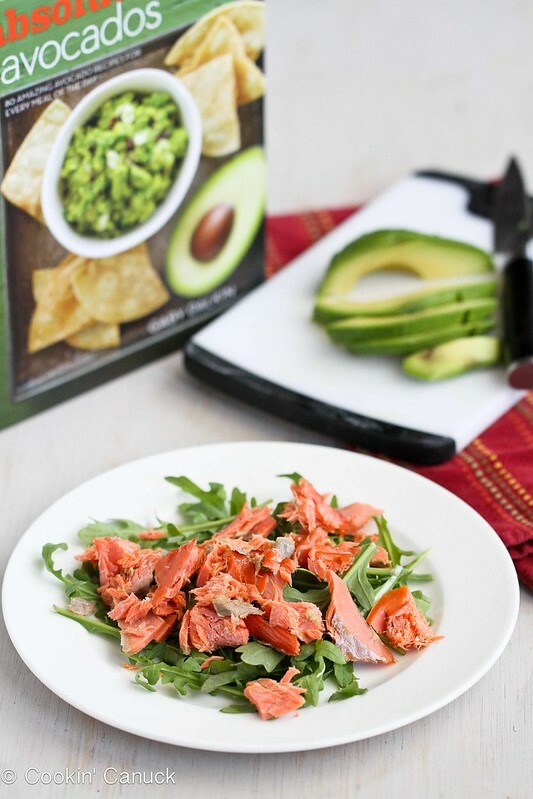 I piled the lemon-touch greens on each place, then carefully layered on chunks of smoked salmon (you could use lox, too) and slices of creamy avocado. The poached egg then lay gently on top until I prodded it with my fork to allow the bright yellow yolk to spill down onto the salmon, avocado and greens, acting as a rich dressing. What a fantastic array of flavors and textures. This is a salad I will be making over and over again. Fill a shallow pan with at least 3 inches of water. Add the white vinegar; bring the water to a boil and then reduce to a simmer. Equally divide the micro greens among 4 small plates. Squeeze a touch of lemon juice on each pile of greens. One lucky reader will win a copy of Absolutely Avocados by Gaby Dalkin. For a chance to win, just leave a comment on this post and record that in the Rafflecopter list below. The other entry options are optional, but will give you additional entries (in other words…more chances to win). This giveaway is open to residents of the United States, aged 18 years and older. From "Absolutely Avocados" by Gaby Dalkin. Reprinted with her permission. What a beautiful, simple and healthy recipe!! I love dishes like this! Perfect for weekend brunch or a simple dinner any night!!! I have this cookbook on my wish list! This cookbook is in my amazon cart! All these recipes everyone had posted have me dying. This one included! This is so incredible! I’m saving this to make for my Dad on Father’s Day! Oh wow, this looks great! I’m always looking for new recipes that involve avocados! I am avocado obsessed as well. This looks awesome. I love everything about this recipe. The salmon looks amazing and your photos are stunning! Dara, the photos turned out so stinking beautiful on this post!! I love avocados and poached eggs. This recipe looks like a keeper. Wow, what a beautiful dish! Fresh, colorful, and healthy. The cookbook sounds fantastic as well! Oh that recipe looks yummy. I love avocados and this book would be great. Thanks for the chance to win it. My daughter just tried poached eggs for the first time this past weekend and she loved them. I know she would love this recipe! I want this book! All the recipes I’ve previewed look wonderful. I would love to have this book. Avocados are somthing I don’t eat a lot of but would love to learn to cook with. Beautiful avocados and beautiful photography. I just love them both. My husband grew up with three avocado trees in his yard and we miss them so much. I think it’s time we planted our own tree, because this looks yummy and you found a gorgeous avocado to photograph! This looks delicious! Definitely a nice meal for a weekend- probably a “happy done with classes” reward for myself! Gorgeous Salad!!! Who can resist that ruby colored salmon!!!! Avocado brownies! This I have to try. Great way to get something healthy into my veggie-spurning five-year-old! I Love avocados and salmon!! I’ve never had them together in one dish and honestly I’m not sure if I would like it, but this looks really good with the poached egg and I think it’s worth trying. Goodness! Three of my absolute favorite foods all put together into one beautiful dish! Can’t wait to try it! I’m just recently learning to love smoked salmon. Can’t wait to try this dish! Yum! My four favorite food groups all together – arugula, avocado, smoked salmon and eggs! I will be making this very soon! I love avocados, but I haven’t used them in many ways other than sliced on a sandwich or in guacamole. Thanks for this recipe, and for the chance to win the cookbook, too. This looks delicious! I love avocados, definitely saving this recipe. Oh man that salmon and avocado look incredible!!! I will eat anything with avocadoes, oh my gosh. This tastes soooo good to my eyes!!! Avocados are my favorite food on earth. And this breakfast dish looks amazing! This looks heavenly! The combo of textures and tastes must be wonderful. I certainly could have used a cookbook with 75 avocado recipes when we lived in Bermuda and had two avocado trees in the yard. Gosh I miss those trees!! Anything avocado!!! Love this one. This is a great cookbook idea because I’m always trying to find new ways to fix avocados! Oh my gosh, that looks SO good! What a beautiful salad! Love this recipe. Avocados are my favorite add to everything food! I have and love this book and everything about this recipe! This recipe sounds awesome and I don’t even like poached eggs! The more I hear about this book the more I want it. This looks amazing! I love avocado on just about anything! Gorgeous photos, what a perfect savory breakfast! I have learned to love avocados on about everything, even grill them! Cant wait to try new recipes! This looking amazing! 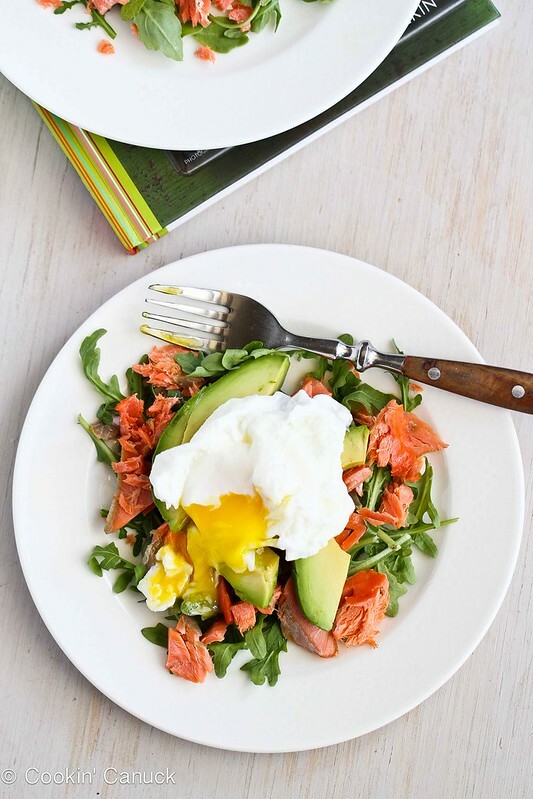 Three of my favorites – avocado, egg, and salmon in one dish. Going to make this! Oh. My. Yum!!!! Breakfast, lunch and dinner. Avocado = my perfect food. And add an egg? Even better. This is really an ideal meal in my world. This looks amazing! I have over a dozen avocados in the kitchen right now. My co-worker owns a grove so I get lots of them this time of year. I really need some ideas before they go bad. Thank you! avacados & I’m in! Thanks for the giveaway. Ohhh, yum, that sounds so good! Love avacados! I’ve been eying her book at Amazon.com. Thanks for the giveaway. You know how excited I am about this recipe. I’m making it this weekend. I can barely stand it, as it’s only Tuesday! Great photos, too, Dara. That book shall be mine one way or another! I love avocados and I just learned how to make poached eggs, so I’ll definitely be trying this recipe soon! Fantastic! 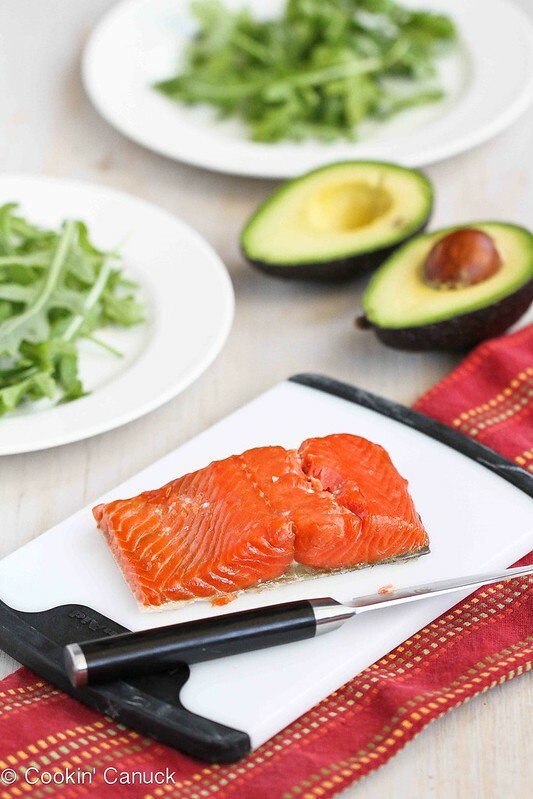 I love salmon – this recipe looks delish! 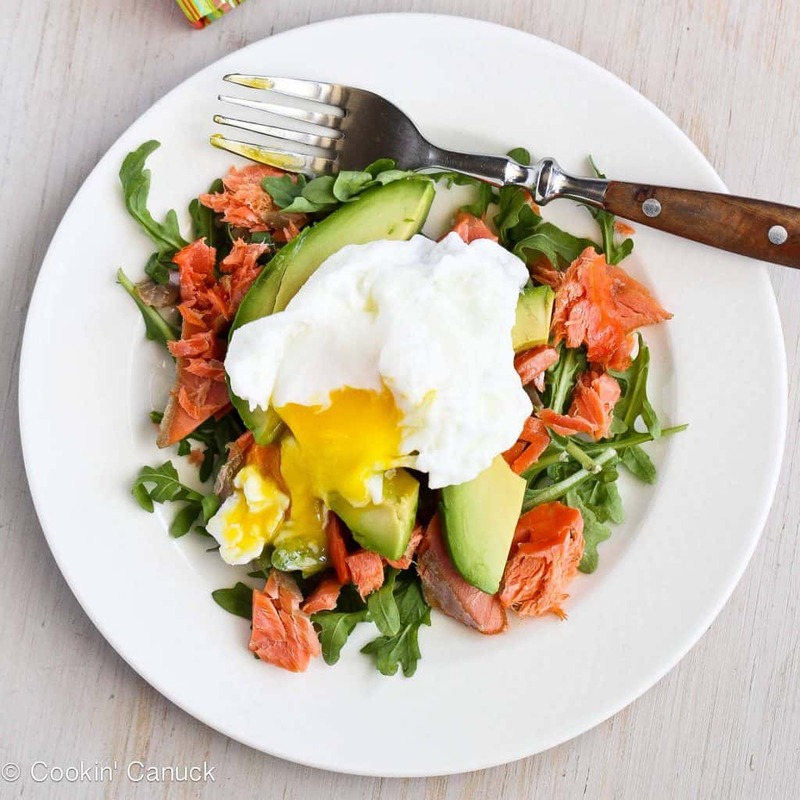 Eggs, avocados, and salmon – three of my favorite things! Looks delicious. This looks fabulous! I love all the ingredients – will definitely try ASAP! No lie; I eat this every other day. Love avocados paired with eggs! A runny egg gets me every time. OH MY!! What a great recipe! I love anything with avocado. This looks delicious. I would love to win a cookbook devoted to one of my favorite foods! Avocados are my absolute favorite! Would love to have some new recipes. This salad looks like heaven on a plate! Would love to expand my avocado horizons! That what I was looking for it, it looks so yummy can’t wait to have it. This dish is gorgeous, I love avocado and eggs 🙂 perfect combination! Avocados? Oh man, do you know how many avocados I eat a week? NOM NOM NOM. What a beautiful salad. Being a Norwegian-American food-lover, any recipe with smoked salmon catches my eye. This one sounds particularly good. 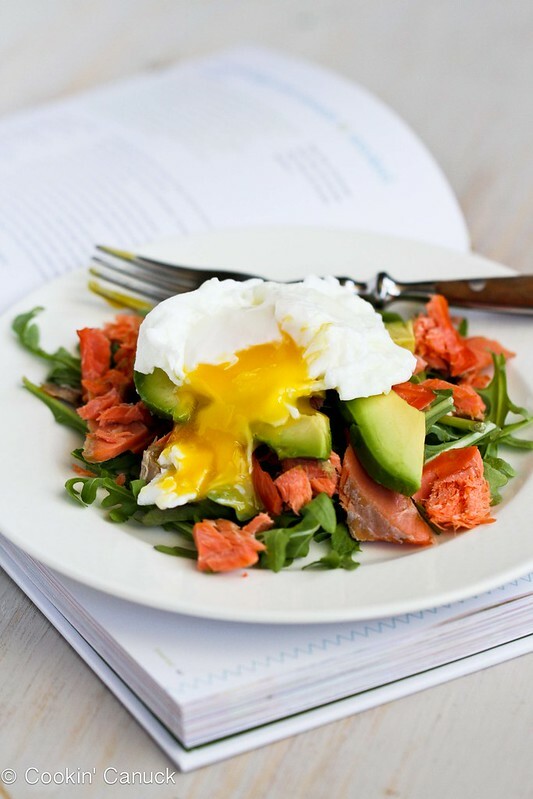 The salmon, avocado and poached egg combo is a great one! This recipe looks so good. I’ve been looking for new ways to eat smoked salmon. I love avocados, too, so this is perfect. This is absolutely mouth-watering! I am hooked on anything and everything that’s topped with a runny egg! Avocados were one of the few foods I refused to try as I child. Now I could kick myself! All those years that I could have been eating them. Now I can’t get enough. they look so cute and delicious. Thank you! Eating this right now, sooooo good. I drizzled sriracha sauce on top for a spicy kick. What a healthy meal. Love avocados – they are so versatile – ice cream, smoothie, salad, eat it as it is, love it. Keep the good work! As major cities go, there is a great deal to do in Baltimore; plenty to see and experience. Sometimes it really can be as simple as turning the device on and off. We take into account special consideration with this portion and in addition clients’ products are within our secure hands. The guys over at Paleo Diet seemed to use this picture without crediting your site. Just a heads up!